CMYK – also called CYM or YMCK – is a subtractive color model used in color printing. A color model is a mathematical model for describing colors as tuples of numbers, usually 3-4 color components or values. 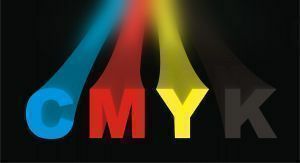 CMYK stands for Cyan, Magenta, Yellow and Key (black), and the color model describes a formula for creating other colors by mixing pigments of these colors in varying amounts. It is said that CMY mixture is subtractive (that is, magenta, cyan and yellow on a white background produces black). In CMYK model, magenta plus yellow produces red, cyan plus yellow makes green, and magenta plus cyan generates blue. 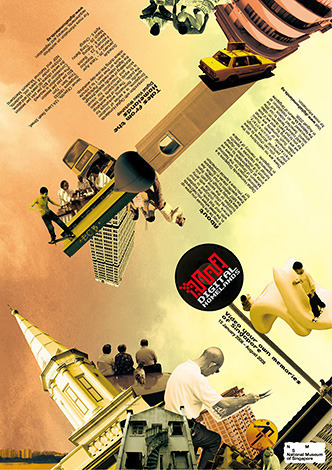 CMYK, or four-color printing, generates a good final printout with excellent contrast. 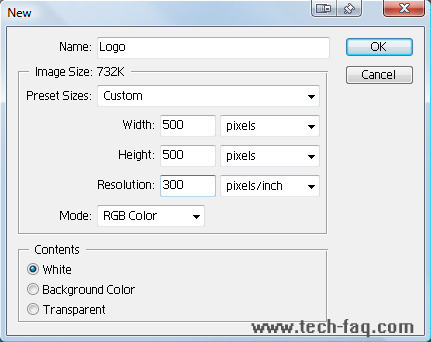 However, as the computer screen follows a RGB system, the color seen on the screen may be different from the one that comes in the final print. This is due to the differing palettes of CMYK and RGB. For example, the color (RGB, 0%, 0%, 100%), which is pure blue to human eye, is impossible to produce in CMYK. The nearest attainable color in CMYK is a dissimilar shade of purple. This disparity in conversion from RGB in the computer screen to CMYK reflects in the final print. Theoretically, and to an extent practically, black can be produced by mixing the magenta, cyan, and yellow – the subtractive primaries. But this is not suitable if we require a high quality print. 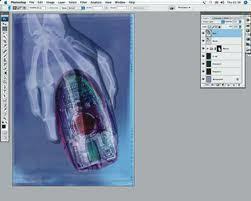 To achieve higher quality, CMYK additionally uses black ink for coloring the print. In the following few lines, we’ll see why black ink is being used over color combinations. On closer analysis, it can be found that the mixing of magenta, cyan, and yellow does not produce black, but something nearer to black. Because of this, CMY is unsuitable for applications that need pure black. Mixing of these three colors to produce black can raise a technical issue and this is the wetting of paper. Wetting of paper can cause serious problems in high speed printing where it is a prerequisite that the paper should become dry within a fraction of a second so as to prevent marking on the next page. Also, if the print is being made on low quality paper such as the newsprint, there is every chance of the paper being torn by the slightest of force being applied on it by the roller. Black ink allows the printer to make considerable savings in terms of money as he/she only needs to pay for one type of ink rather than for three different colors. Further, black ink is cheaper than colored inks. 137 queries in 0.336 seconds.